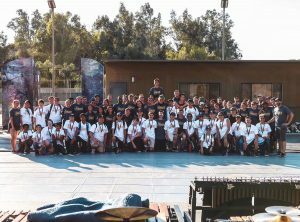 This past weekend felt so special – just thinking about it 5 years ago I was one of the System Blue, 2014 attendees watching The Blue Devils being inspired to do this activity. Since that event, I have marched every single season I possibly could have and it has been a life changing experience. These System Blue Educational Events inspire the next generation of drummers in the activity. And if I hadn’t gone to that System Blue Event in 2014 I wouldn’t be here doing this activity year round for 5 years straight. It’s honestly a blessing in my life and every single person in this picture has absolutely touched my life in such an amazing way. RCC Indoor Percussion has made my heart so full this weekend. I absolutely love my tiger family with all my heart.